Is the fundamental nature of light and matter more like a wave or is it more like a particle? After hundreds of years of scientific research the answer is … Yes! Light and matter have aspects of both: sometimes one and sometimes the other. Kind of like that duck-rabbit illusion where the drawing flips back and forth between a duck or a rabbit. Now that we have the irreconcilable duality of wave and particle, can we add to the confusion and enlarge it into a four-fold? Two additional aspects (from physics) come to mind: motions, as in the motions of particles, and fields, as in electric and magnetic fields. 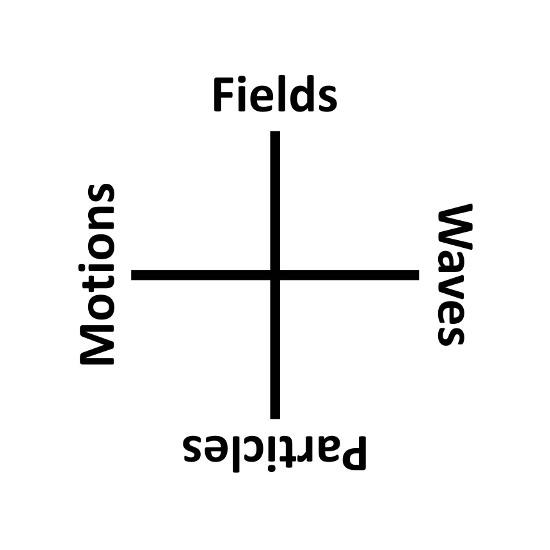 We immediately can see this four-fold as a play of dimensions: (idealized) particles have 0 dimensions, motions have 1 (along a path), waves have 2 (or more), fields have 3 (or more). 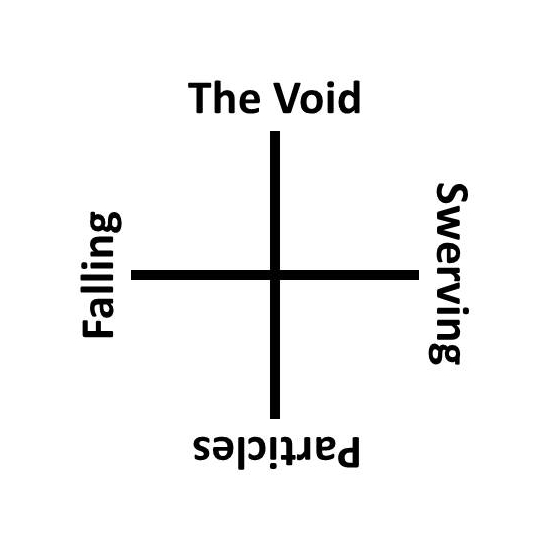 We can also see this four-fold in a weak analogy with the Four Elements: particles for earth, waves for water, motions for fire, and fields for air (or space). Also compare to the four-fold for Lucretius! Should fields above be replaced with wave-functions? I guess a wave-function is a kind of field of probabilities of existence over space and time, so perhaps it makes no difference! I like Forces or Speeds better than Motions. Atoms better than Particles at top?